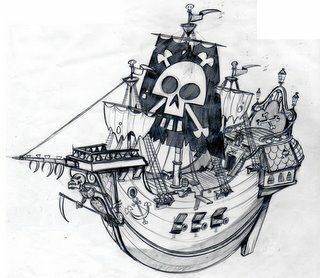 Here is a rough design I did for a ghostly pirate ship in the Danny Phantom episode: "Pirate Radio". I also posted a drawing of Ember, the ghostly rock chick, dressed as a pirate. 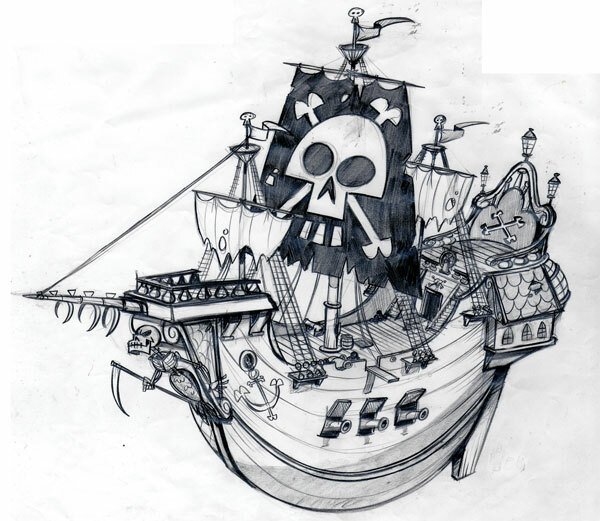 That pirate ship design is awesome. Your stuff is always a great inspiration, I'm glad you started a blog so we can see your new stuff! Keep up the great work! So glad I found your blog. 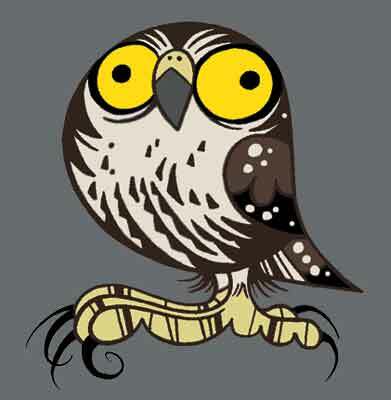 I have a link to your website on my blog which I use frequently. That Pirate ship is beyond awesome. 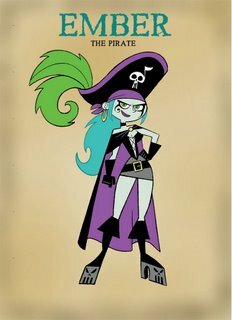 I'm a great fan of pirates and am currently reading "The History of Pirates". You should check it out, it's very informative. Um, nice stuff man. You are quite a talent!!! Your pirate designs rock! You must have been doig your homework. Were you wearing a pirate hat when drawing? Well, everyone is saying what I want to say. Dude, it's wicked. I can almost feel it in my hand. PIRATES!!! The ship looks great! Thanks for all these kind comments. You all are swell. Serapio, I was not wearing a pirate hat. When drawing pirates, I find it best to go commando, if you know what I'm sayin'. hell, if i were a pirate, i'd ride that ship!! stellar. These are really cool! I love Youngblood's ship, it's the coolest pirate ship I've ever seen!